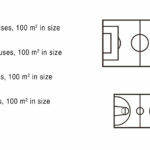 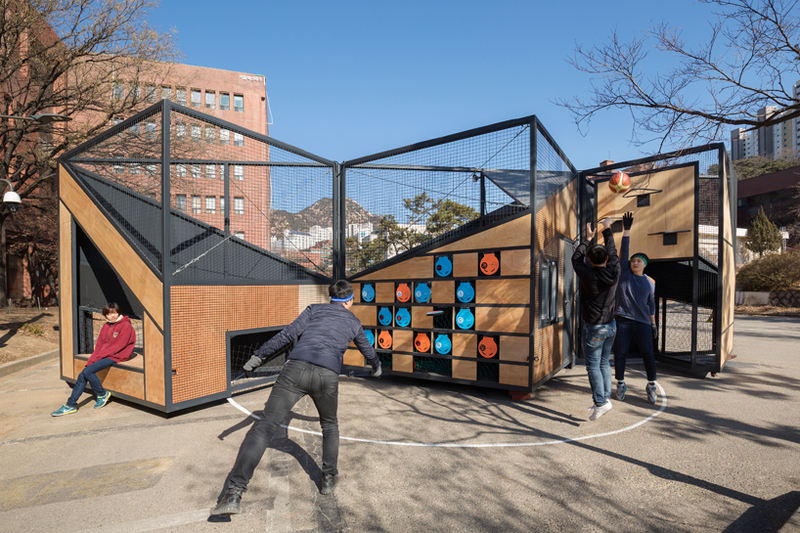 When space to play is hard to come by, there isn’t always room for multiple recreational activities like soccer and basketball. 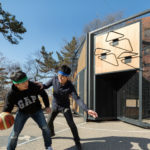 In Seoul, South Korea, designated recreational areas have to be booked up to two months in advance. 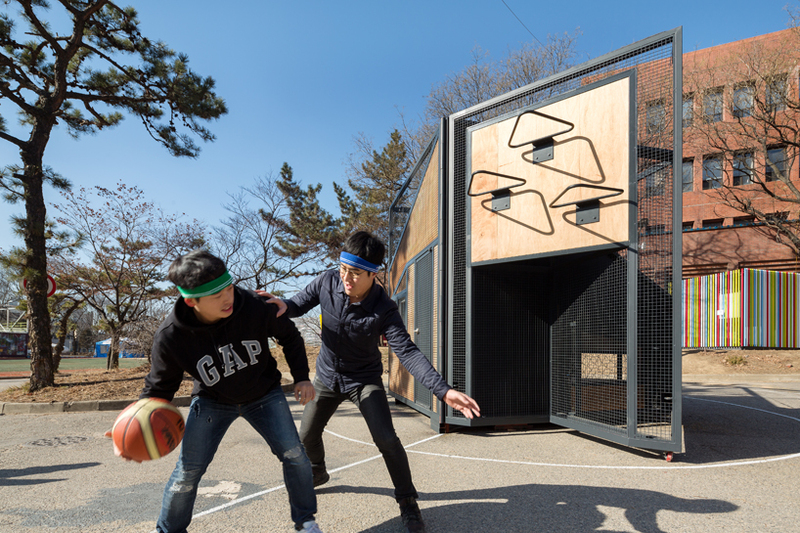 Of course, as most children will gladly inform you, any space can be played in so long as there is a ball. 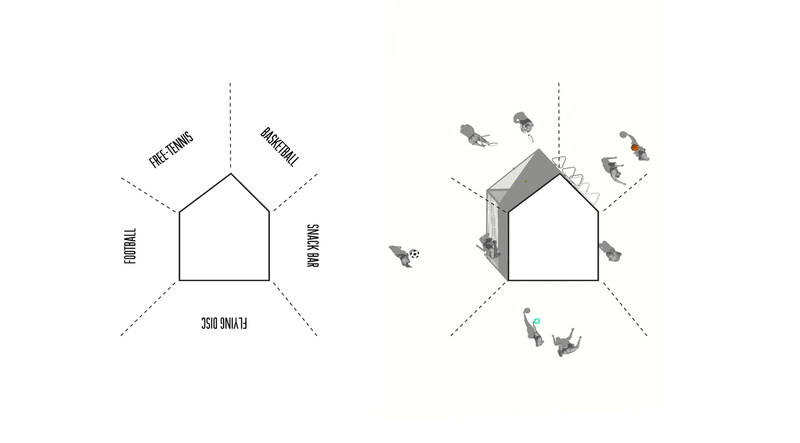 Abiding by this ethos, B.U.S. 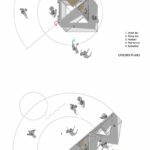 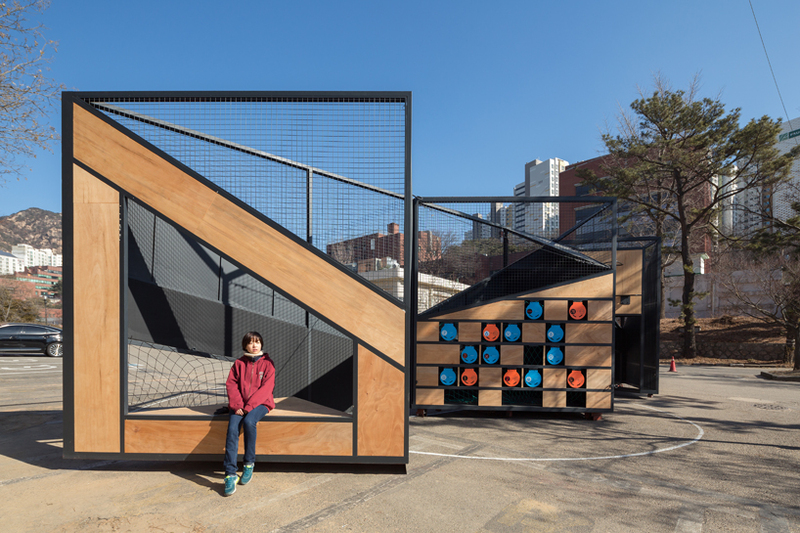 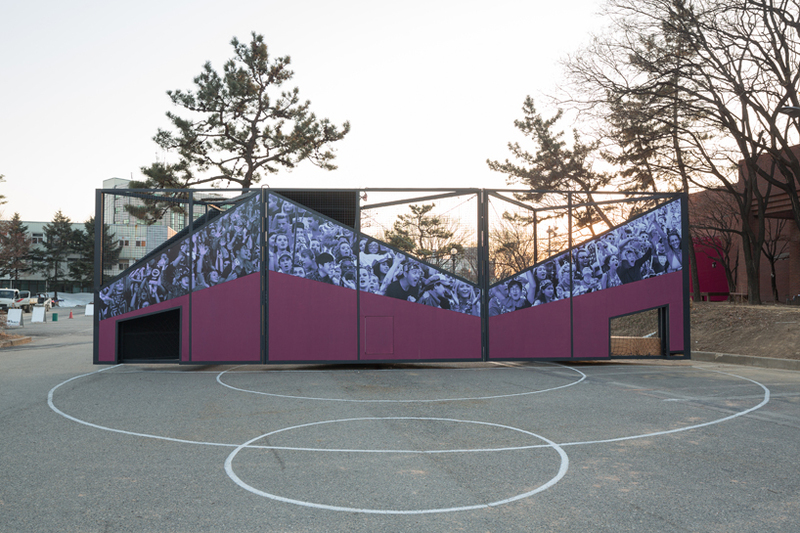 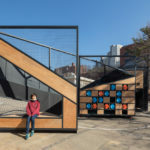 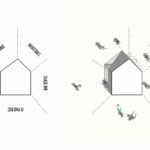 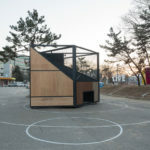 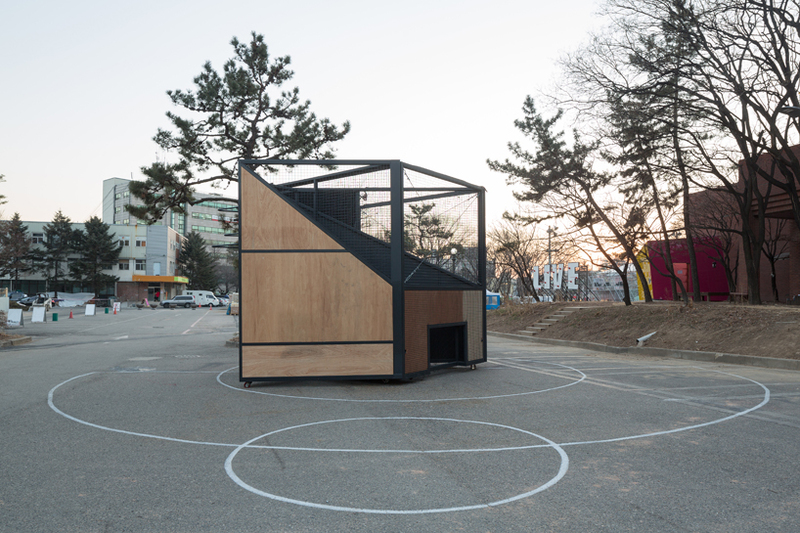 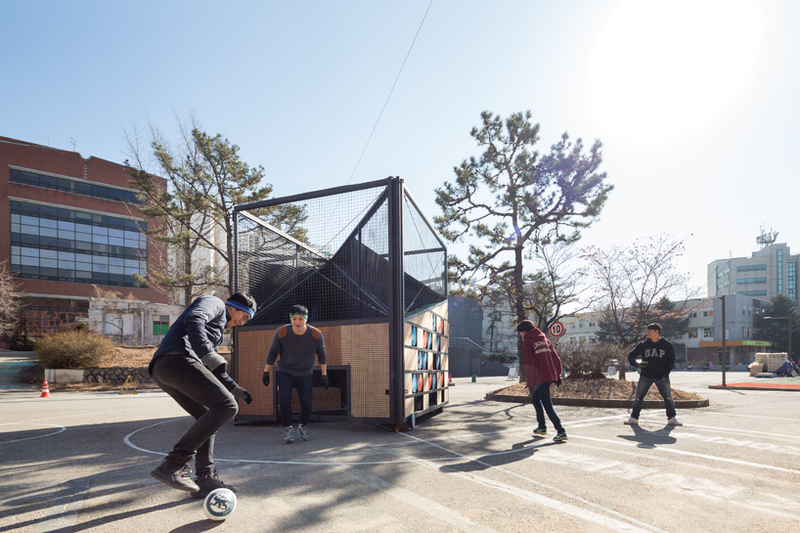 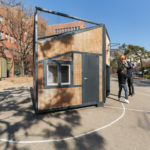 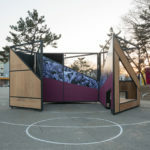 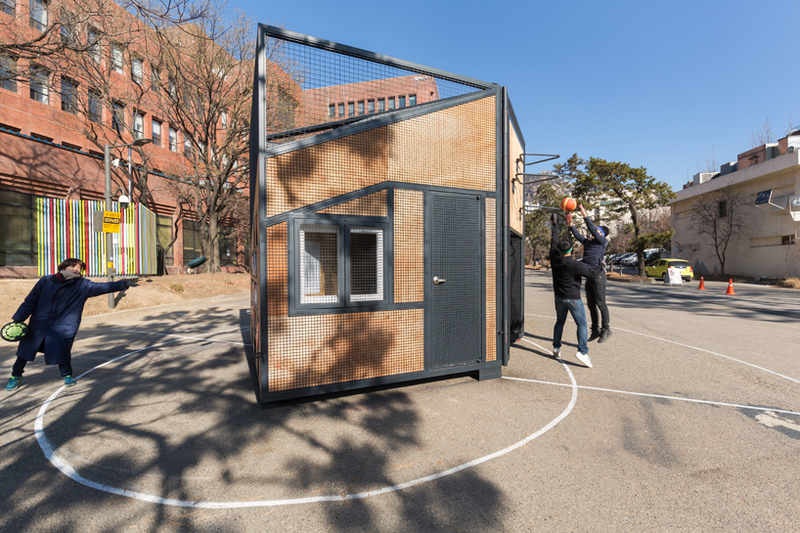 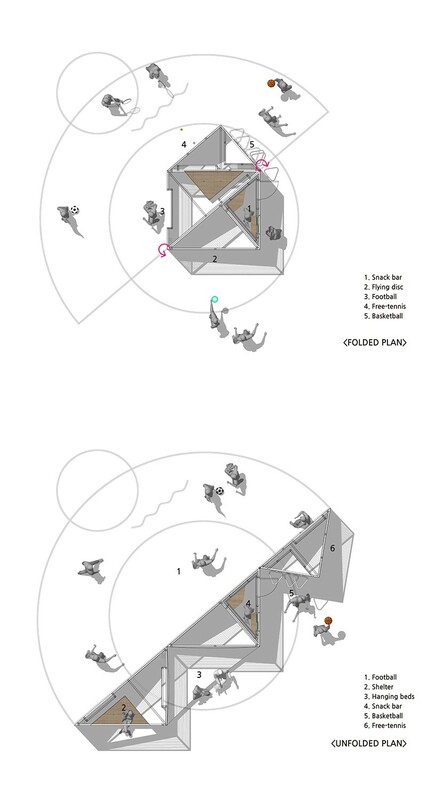 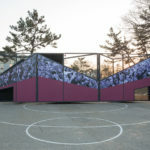 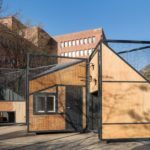 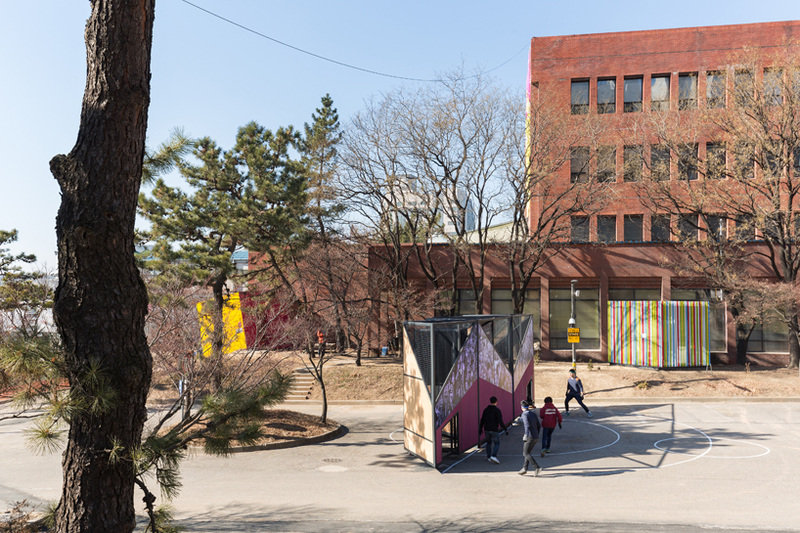 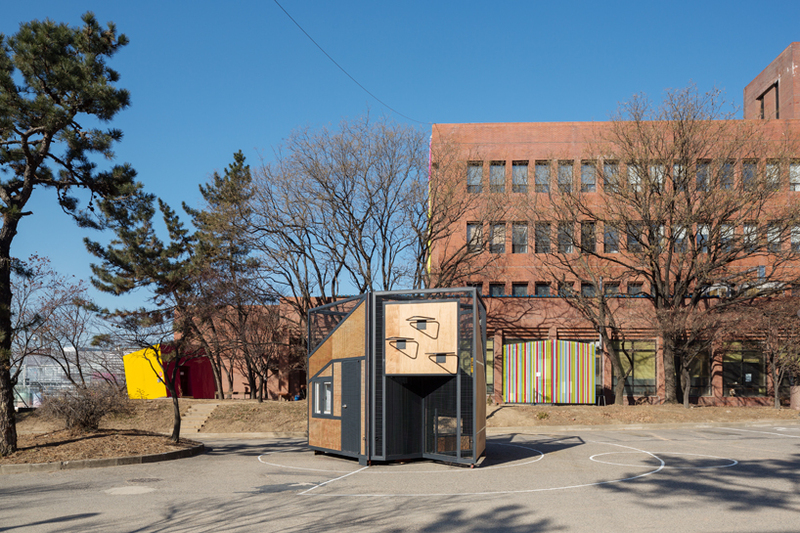 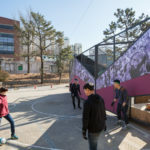 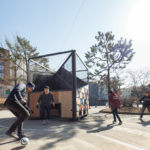 Architecture from Seoul has designed the “Undefined Playground,” a transportable and transformable sports pavilion. 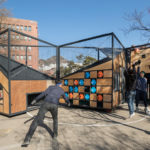 Offering tennis, soccer, basketball, and “flying disc” configurations, the foldable structure is set on wheels, which allows it to be rolled onto any hard surface. 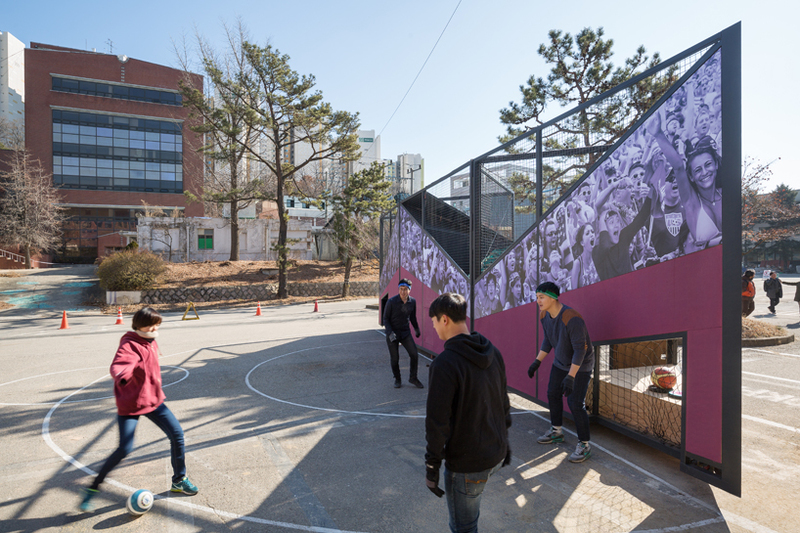 When folded accordingly, goal posts for soccer can be revealed, as can basketball hoops and a tennis wall. 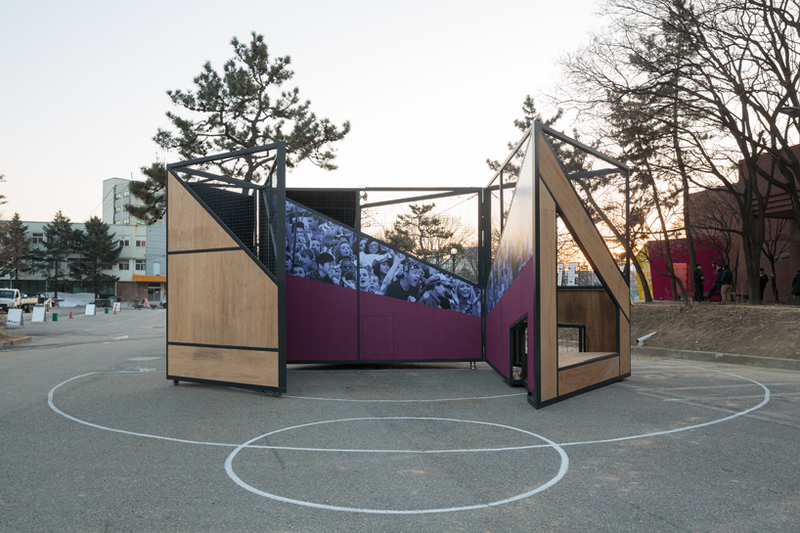 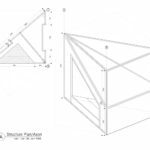 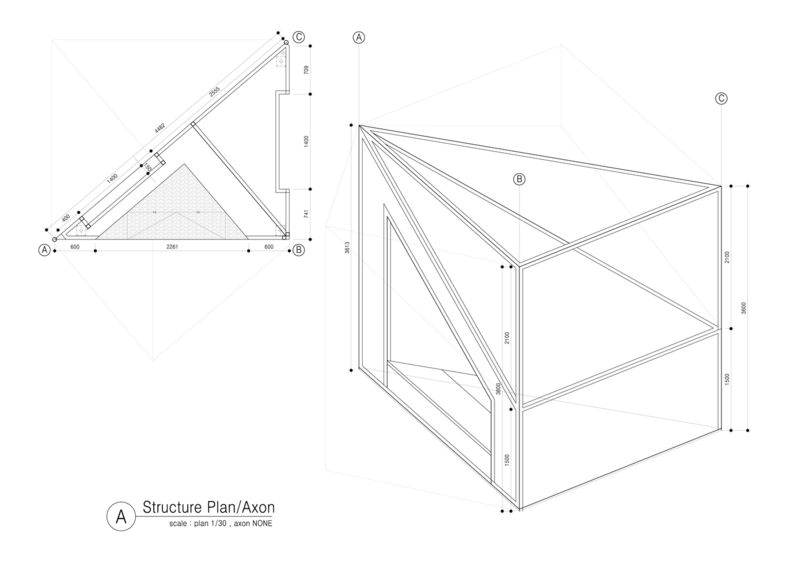 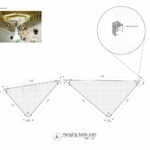 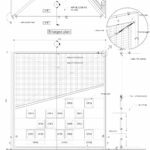 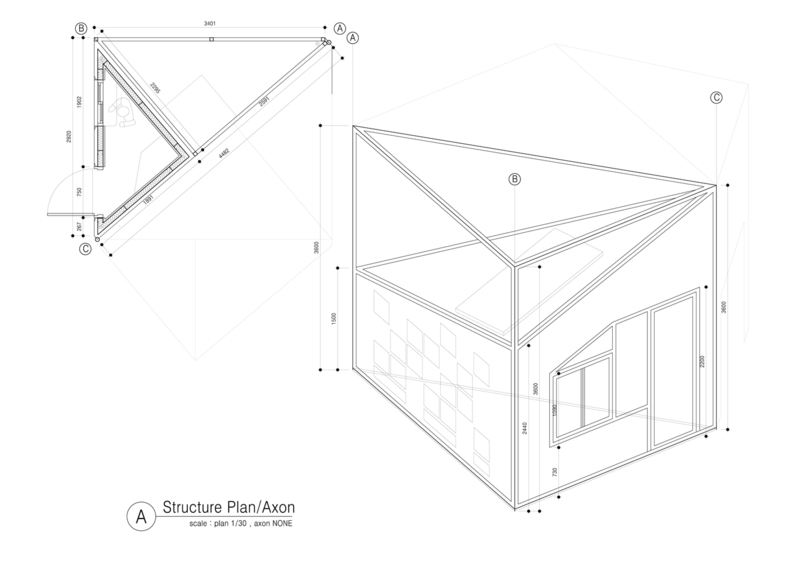 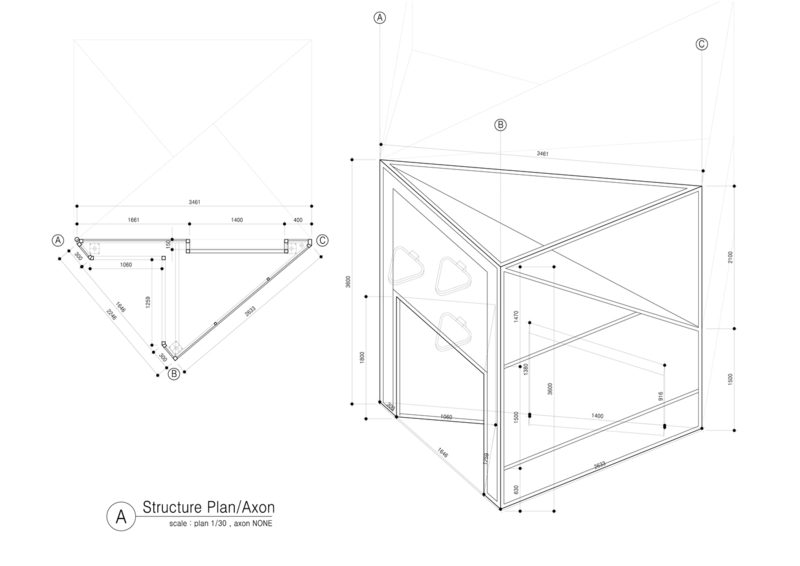 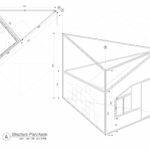 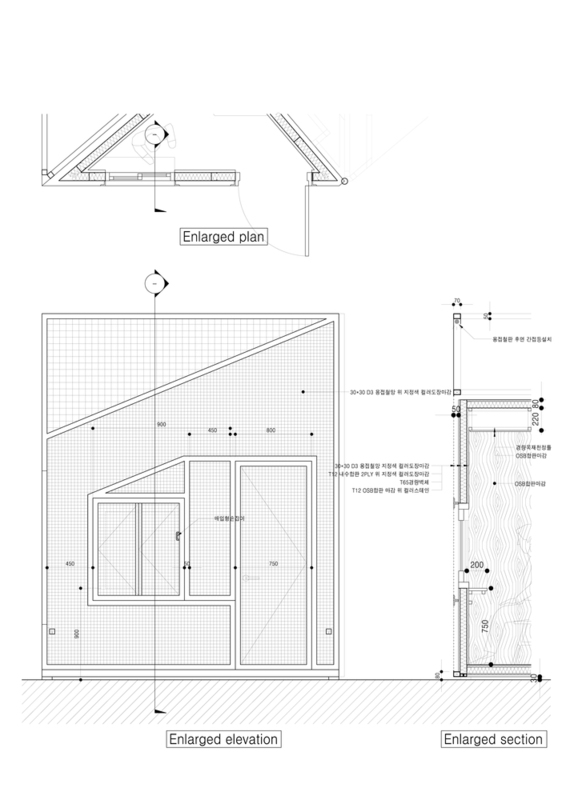 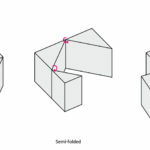 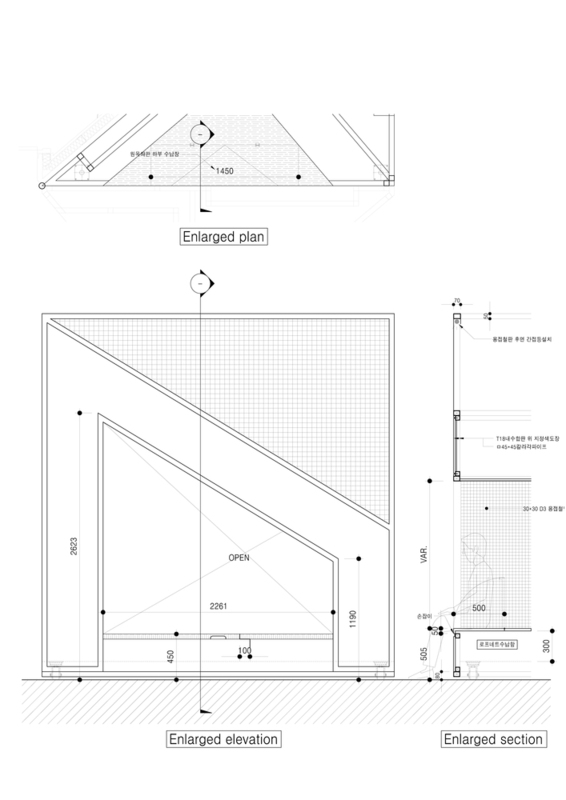 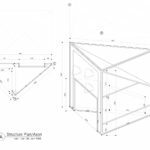 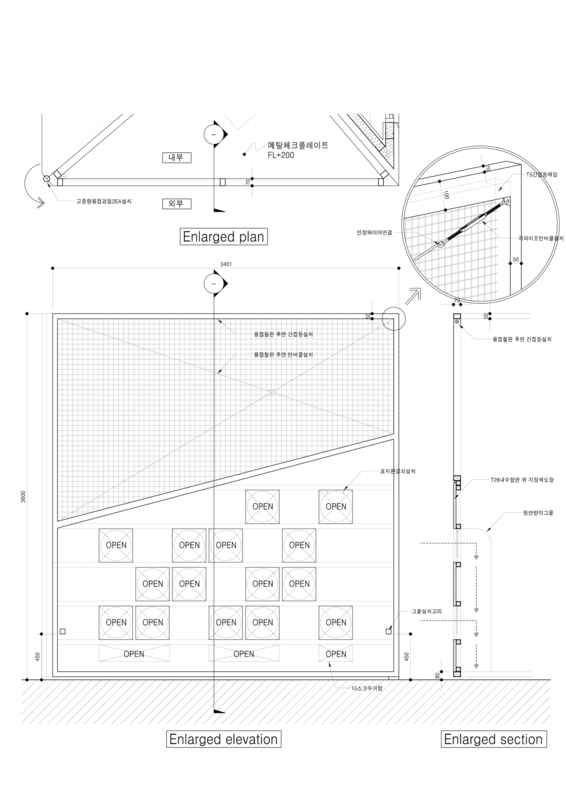 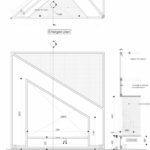 The pentagonal, steel frame features wood panelling, rises to 12 feet, and occupies 158 square feet. 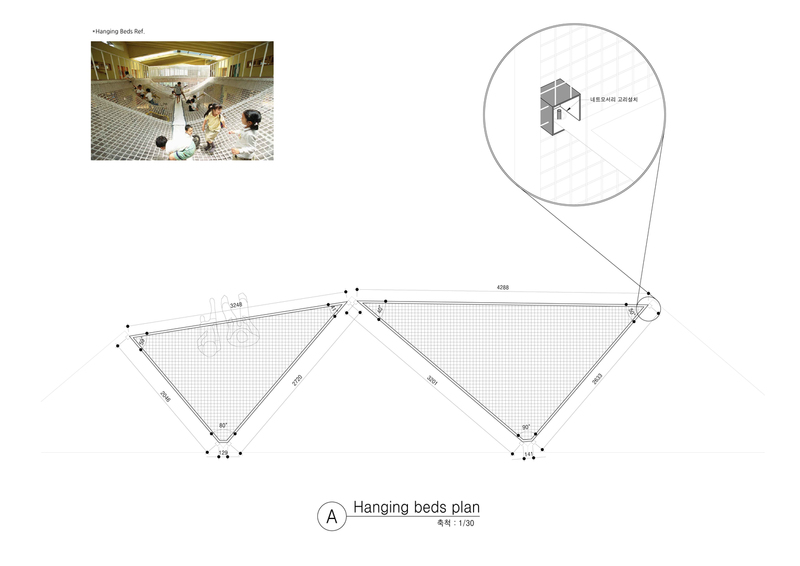 When fully open, a hammock (formed from nets) stretches out within the structure. 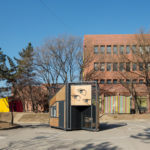 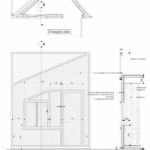 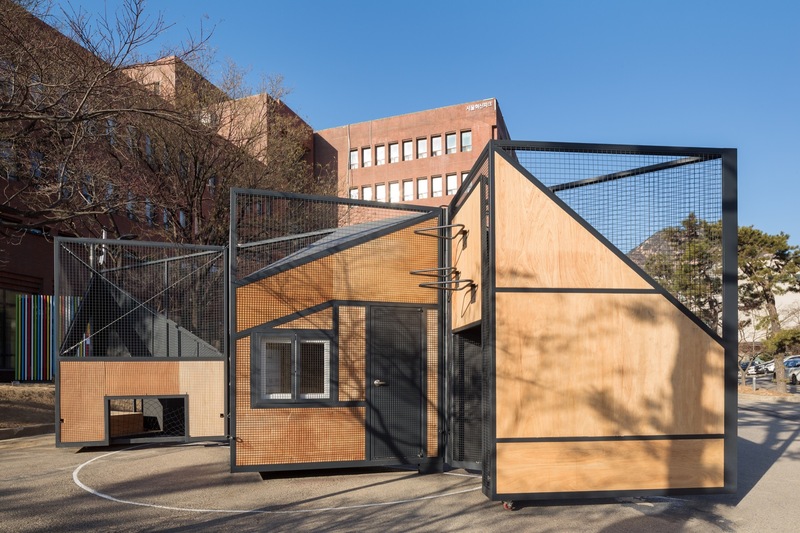 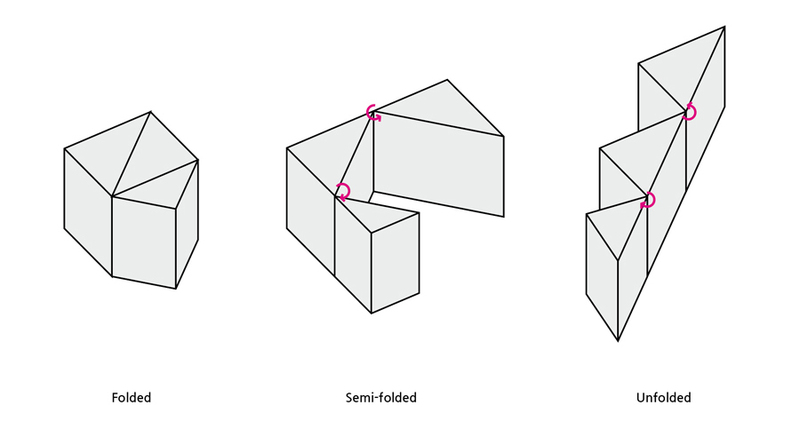 Additionally, space for storage and a snack bar—which can serve as a ticket booth—make it a versatile recreation utility for dense urban environments.